Welcome to a book club just for those who love family history! Here we share our top picks for fiction and nonfiction from authors around the world. These books all have something for us to love: stories about the search for family and identity, stories about family relationships, stories about fascinating periods in history. These books inspire us to keep discovering and writing our own family stories. Follow our Book Club blog posts and hear from the authors on The Genealogy Gems Podcast. Join in the conversation on our Facebook page (#genealogybookclub). Looking for how-to books? Check out our companion list of how-to genealogy titles. We thank you in advance for purchasing our book recommendations through the links on our site. When you do, you help support the FREE Genealogy Gems Book Club and podcast. Nathan writes a genealogical crime mystery series starring forensic genealogist Morton Farrier. We originally featured his book The Lost Ancestor, in which Morton is hired to find out what happened to his client’s great-aunt Mary, who disappeared without a trace a century ago while working as a maid at a grand English estate (gotta love the Downtown Abbey-style drama!). The author has joined us on the free Genealogy Gems Podcast episode 180 and in Genealogy Gems Premium Podcast episodes 124 and 159. 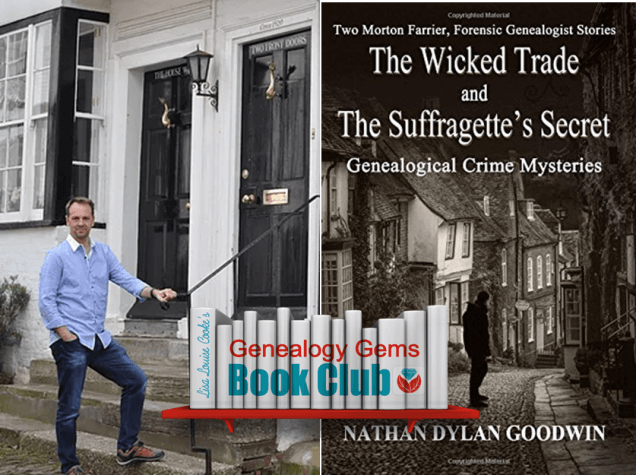 Other titles in the series: Hiding the Past, The Orange Lilies: A Morton Farrier novella, The Spyglass File (reviewed briefly in the Genealogy Gems Podcast episode #196) and the two-in-one publication, “The Suffragette’s Secret” short story with his newest book, The Wicked Trade. 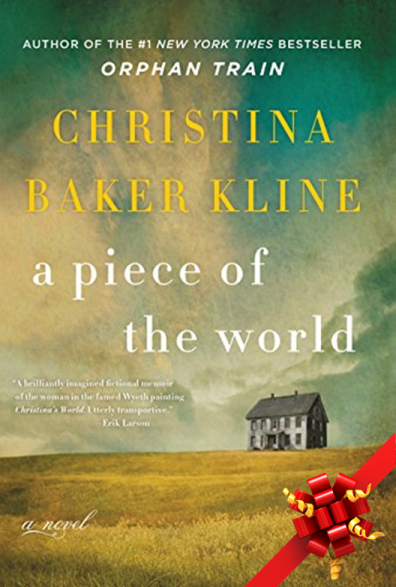 A Piece of the World by Christina Baker Kline. “You can never escape the bonds of family history, no matter how far you travel. And the skeleton of a house can carry in its bones the marrow of all that came before.” So says the Prologue to a new novel by best-selling novelist Christina Baker Kline, whose novel Orphan Train has been loved by millions around the world (and a lot of Genealogy Gems Book Club fans–we featured it in 2014). A Piece of the World is a unique and irresistible story about a woman whose physical disabilities and family’s demands keep her adventure-loving spirit firmly homebound. Granted, her home is a fascinating place: a 1700s-era home on the coast of Maine that has been passed down for several generations. But the noble legacy of the home instills a sense of obligation in those who live there now: do they stay on the family land at all costs, even the cost of their happiness and health? What happens when a family’s heritage becomes a burden, not a blessing? Those who love American art will love that the main character, Christina, was inspired by the subject of the Andrew Wyeth painting, Christina’s World. (You can see an image of the painting here.) Christina was a real person who lived in this home. Andrew visited her and her brother and painted them many times. So the characters and setting are real, and the house is actually a National Historic Landmark now. Christina Baker Kline’s “fictional memoir” gives this historical Christina a powerful, honest, and insightful voice: the voice of a person who sees and tells it like it is–except the parts she just can’t see for herself. A.J.’s voice is witty with lots of digressions, pop culture references, and a definite urban beat (NYC, specifically). 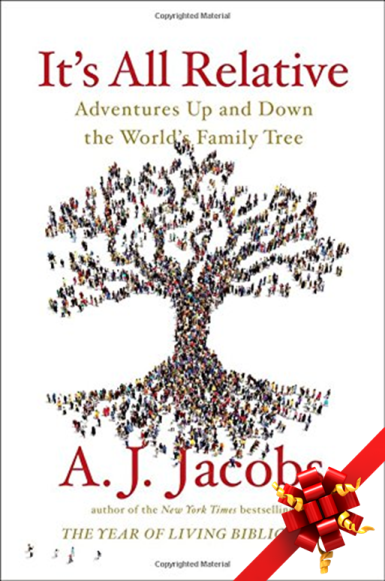 He meditates on what genealogical connections mean to him and the larger story the world’s family tree tells us. Like, we’re all related, and therefore shouldn’t we get along better? But with the quick disclaimer that he’s not inviting us all over for New Year’s brunch. He did that already at the Global Family Reunion–which he reports on in detail.In the appendix, he recommends all kinds of genealogy how-to resources, including Genealogy Gems. If you yourself are somewhat relaxed and perhaps even a little irreverent about your genealogy hobby, you’ll likely really enjoy this book. What about the more earnest family historians? It’s still worth a glimpse into how others see us. A.J. comes peeking into the world of genealogy ready to crack jokes. And he does plenty of that. But he also comes away with a great deal of respect for the stories and relationships that can–and should, he says–bring us closer together. 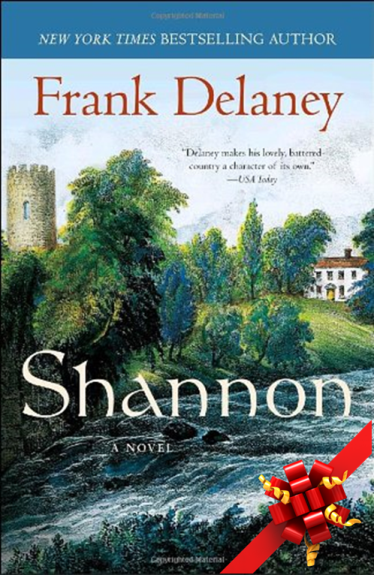 Shannon by Frank Delaney is a stunning tale: Father Shannon, an American Catholic priest of Irish descent, has serious “shell-shock” trauma after serving in the trenches of World War I. His archbishop sends him on a respite trip to Ireland to travel up the Shannon River looking for his family roots. He lands in the middle of an Irish Civil War—but also encounters person after person who helps him rediscover his faith in humanity and the restorative balm of daily life. Meanwhile, intrigue is afoot within his home archdiocese. A killer, who has his own traumatic backstory in Ireland, is dispatched to make sure Father Shannon never returns home. Their stories converge in a place of love, but also far too close to a place of pain. And that’s all I’m going to tell you about it. I only recently discovered Frank Delaney’s books and can’t recommend them more enthusiastically! Frank Delaney is a MASTER storyteller. He crafts every sentence, every image. You can practically see the story lines unfold, hear every action, smell it. I listened to the audiobook version, which the author narrates himself with great skill. As I listened, I gasped, I cried, I laughed–all out loud in the car. So read or listen–and then clear a spot on your reading list for his epic novel, Ireland, which I read immediately after this one and also loved. Murder in Matera: A true story of passion, family, and forgiveness in Southern Italy by Helene Stapinski. The subtitle to this family history murder mystery promises a LOT–and it delivers! As a child, Helene Stapinski heard about her great-great-grandmother who fled Italy–with young children in tow–after being involved in a murder. Parts of the story were vague: who was killed? Why? When? How? Nobody knew. But other details were startlingly precise and consistent. She had to leave her husband behind. A man named Grieco helped her escape. A child was lost on the way to America. Years later, Helene embarked on a 10-year quest to learn the truth behind this family legend. Her journey took her to Matera, Italy, and eventually to a 600-page criminal court file from 1872. There was a murder. But it wasn’t exactly as the family had said. Helene gradually leaned that her family was not who she thought they were. And that meant Helene herself was not who she thought she was. 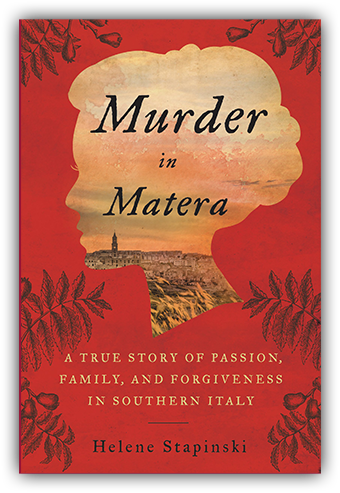 The rest, you can read for yourself in Helene’s new memoir, Murder in Matera: A True Story of Passion, Family, and Forgiveness in Southern Italy. The noted journalist continues to unravel a past that she explored in her fantastic first family history memoir, Five-Finger Discount: A Crooked Family History. This new book is part history, part re-imagined family story. It’s a story of poverty and power, love, tragic decisions, and a courageous and desperate woman’s leap to a new life across the ocean. 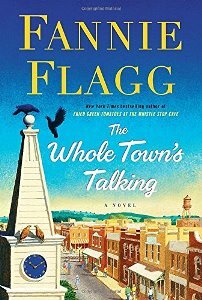 In The Whole Town’s Talking by internationally best-selling novelist Fannie Flagg, you’ll read about several generations of a small Midwestern town settled by Swedish immigrants–and its cemetery, gradually populated by the town’s residents as they die. The dead continue to take a healthy interest in their descendants and comment on their lives. Fannie Flagg first thrilled us with her storytelling power in Fried Green Tomatoes at the Whistle Stop Cafe. We also highly recommend The All-Girl Filling Station’s Last Reunion, in which a lively, lovable leading Southern lady searches for her biological roots and uncovers a fascinating story about the World War II female pilots, the WASPs. Genealogy Gems Premium website members can hear our conversation with Fannie Flagg in the Genealogy Gems Premium Podcast, episode #148. Everyone else can catch an excerpt in the free Genealogy Gems Podcast, episode #204. The Truth According to Us by Annie Barrows. It’s the summer of 1938, and wealthy young socialite Miss Layla Beck is now on the dole as a WPA worker, assigned to write a history of the small town of Macedonia, West Virginia. As she starts asking questions about the town’s past, she is drawn into the secrets of the family she’s staying with—and to a certain handsome member of that family. She and two of those family members take turns narrating the story from different points of view, exploring the theme that historical truth, like beauty, is often in the eye of the beholder. Genealogy Gems Premium website members can hear our conversation with Annie Barrows in the March 2017 Genealogy Gems Premium Podcast (episode #145). Everyone else can catch an excerpt in the free Genealogy Gems Podcast episode #201. 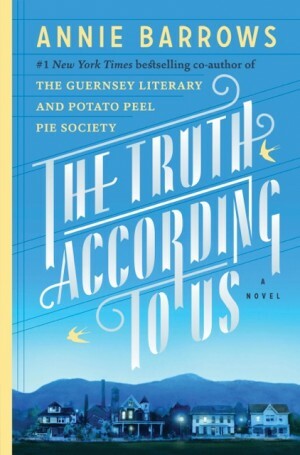 Annie Barrows is the co-author of the popular novel, The Guernsey Literary and Potato Peel Pie Society and the beloved children’s book series Ivy and Bean. Books by Sarah A. Chrisman. 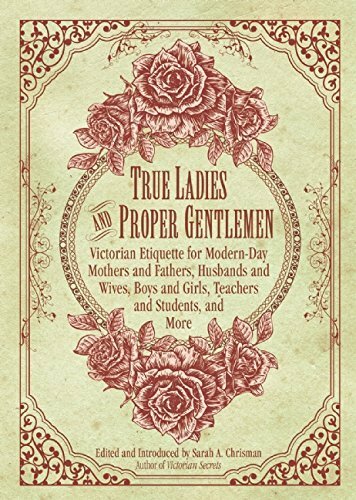 This fascinating author is a living icon of the Victorian age. She and her husband Gabriel live like it’s about 1889. They wear Victorian-style clothing and use a wood-burning stove and antique ice box. Sarah wears a corset day and night; Gabriel wears 19th century glasses. No TV, no cell phones—and Sarah isn’t even a licensed driver. Take your pick of Sarah’s books to read! Catch Lisa’s conversation with Sarah about her memoirs in the Genealogy Gems Premium Podcast episode # 142. 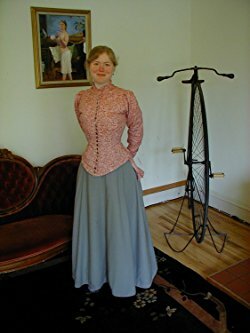 Holiday bonus: everyone can hear Lisa Louise Cooke’s conversation with her about Victorian holidays in the free Genealogy Gems Podcast episode #198. 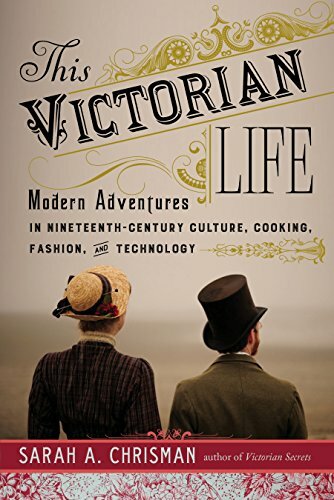 This Victorian Life: Modern Adventures in Nineteenth-Century Culture, Cooking, Fashion and Technologies, a memoir of setting up housekeeping in Victorian fashion and Sarah’s everyday life. 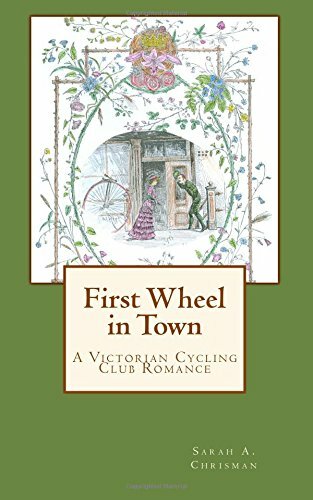 First Wheel in Town and Love Will Find A Wheel: These are Victorian Cycling Club Romances, from Sarah’s series of light-hearted historical fiction set in an era Sarah knows well! 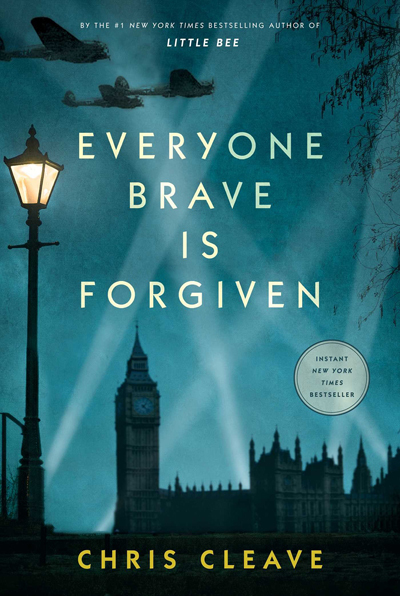 Everyone Brave is Forgiven by British novelist Chris Cleave begins in London in 1939. War is declared. Wealthy young Mary North “leaves finishing school unfinished” and signs on for the war effort without telling her parents. What ensues is war beyond her naive imagination. A love triangle, a long-distance romance, the London Blitz and the bombardment of Malta. It’s intense, eye-opening and compassionate about living and loving in a war zone and its aftermath. The book is inspired by love letters exchanged between the author’s grandparents during World War II. Author Chris Cleave joined us on the Genealogy Gems Premium Podcast episode 139; catch an audio excerpt in the free Genealogy Gems Podcast episode 195 and a short video narrative here). 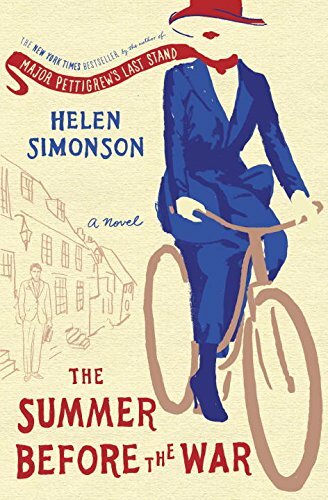 The Summer Before the War by Helen Simonson. Beatrice Nash has grown up traveling the world with her father. Now he’s gone, and she’s in East Sussex, England, fighting to keep her new job as a Latin teacher, meeting the locals (both gentry and gypsy) and trying not to fall for handsome Hugh. Then the Great War breaks out, and Beatrice joins the village in the war effort, hosting refugees and sending the men off to fight (including Hugh). This novel follows Helen’s NYT-bestselling debut novel, Major Pettigrew’s Last Stand . Genealogy Gems Premium website members can hear our exclusive interview in Genealogy Gems Premium Podcast episode 136; others can catch an excerpt in the free Genealogy Gems Podcast episode 192. Citizens Creek, a new novel by New York Times best-selling author Lalita Tademy. Some of you have probably read her previous novels, Cane River and the sequel Red River . Cane River was an Oprah Book Club selection. 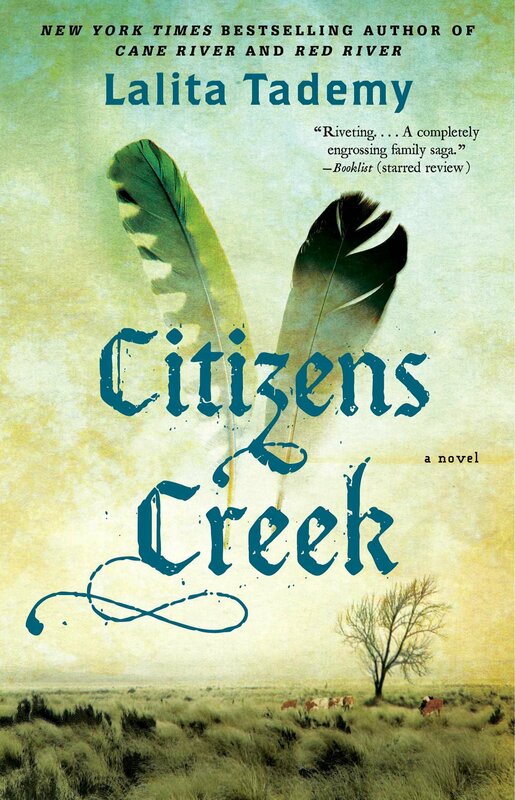 Citizens Creek is a novel based on the lives of “a once-enslaved man who buys his freedom after serving as a translator during the American Indian Wars, and his granddaughter, who sustains his legacy of courage.” This book is all about family, relationships and legacy. Click here to hear a clip from our interview with Lalita; Genealogy Gems Premium website members can click here to listen to the entire exclusive conversation. 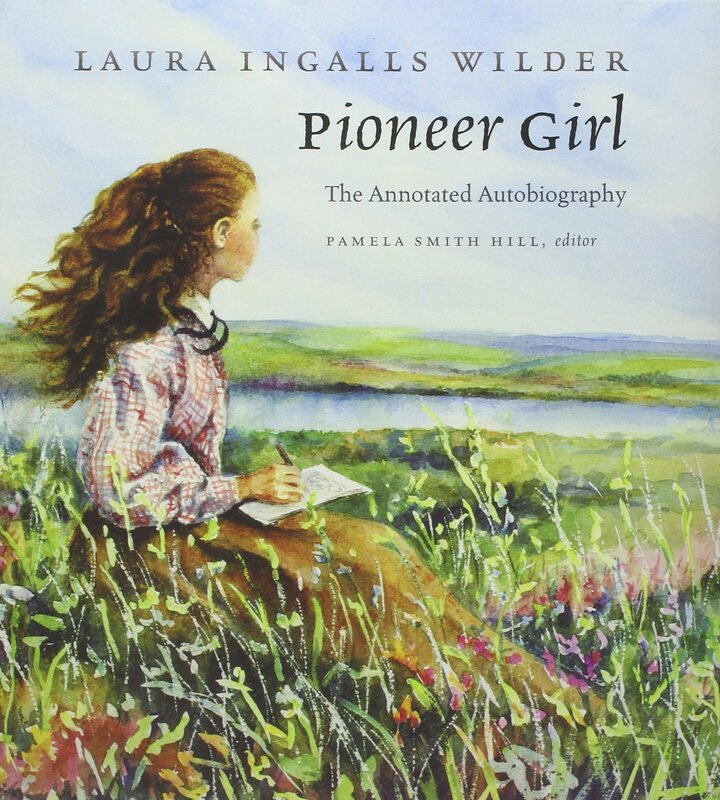 Pioneer Girl: The Annotated Autobiography of Laura Ingalls Wilder, edited by Pamela Smith Hill, is the “grown-up” version of the Little House children’s books. This never-before-published autobiography Laura wrote in the 1930s is packed with detailed recollections of pioneering in an American West that was fading away. Her stories will intrigue–and sometimes stun–any Laura Ingalls Wilder fan. Tons of background research is impeccably cited in source notes. Hear our exclusive interview with Pamela Smith Hill in Genealogy Gems Premium Podcast episode 127 (Premium membership required to access) or hear an excerpt in the free Genealogy Gems Podcast episode 183. 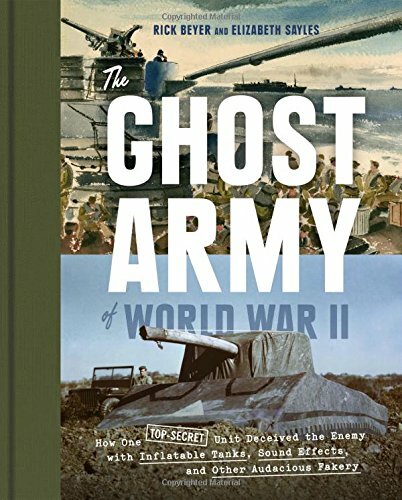 The Ghost Army of World War II by Rick Beyer. This book–the basis for a PBS documentary–tells the story of a handpicked group of young GIs who landed in France to conduct a secret mission in 1944. These 1100 men had one goal: to fool the German army into believing they were an American army thousands strong, and draw their attention away from the actual fighting troops. Hear the interview with the author and filmmaker in the free Genealogy Gems podcast episode 182. Orphan Train by Christina Baker Kline spent five weeks at the #1 spot on the New York Times Bestselling list and made the top of The Bestsellers List in Canada. The novel intertwines the stories of Vivian and Molly. 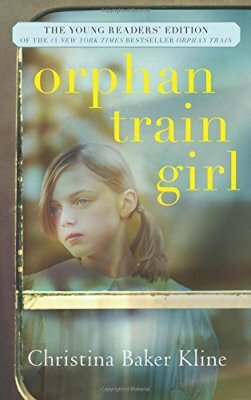 Vivian is an Irish girl who lost her family in New York City and was forced to ride the ‘orphan train’ to find a new home. Decades later, the aged Vivian meets a teenager, Molly, who is struggling to find identity and happiness in the modern foster care system. Click here to catch highlights of our interview with Chistina Baker Kline on the Genealogy Gems podcast. Genealogy Gems Premium members can click here to listen to the full-length interview. 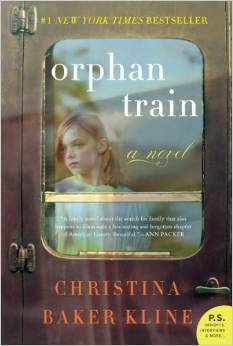 Update: Christina Baker Kline has released a young reader’s version of Orphan Train. Orphan Train Girl tells the story of a young foster girl who forms an unlikely bond with a ninety-one-year-old woman, who had been an “orphan train” rider as a young girl. Adapted and condensed for a young audience, it includes an author’s note and archival photos from the orphan train era. It’s written for ages 8-12, or grades 3-7. 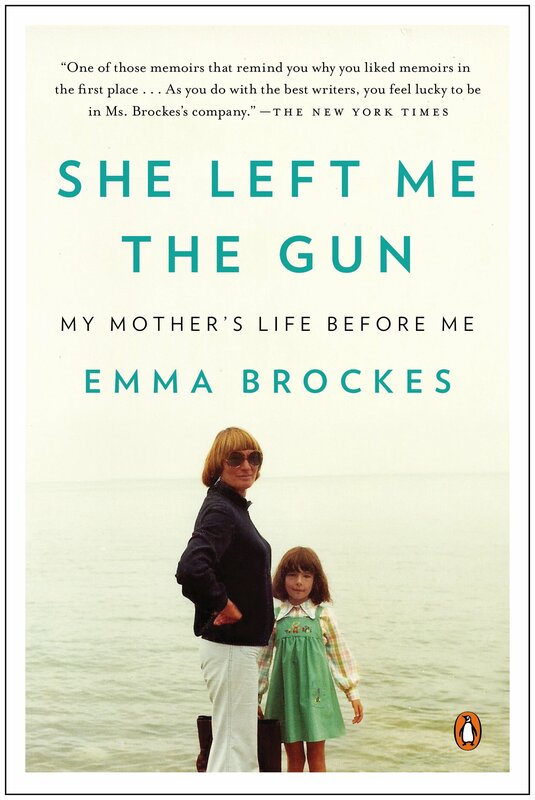 She Left Me the Gun: My Mother’s Life Before Me by Emma Brockes. An award-winning journalist tells the story of her discovery of her mother’s tragic childhood in South Africa. This is a genealogical journey, complete with trips to archives, poring over old court cases and dramatic reveals. But it’s so much more than that! It’s also about learning the past from living relatives. This is the ultimate how-to book for exploring and sharing sensitive family stories because she shows you how it’s done. Listen a meaty excerpt of our interview with Emma Brockes on the Genealogy Gems podcast episode 174 and the full-length interview in Premium episode 118. 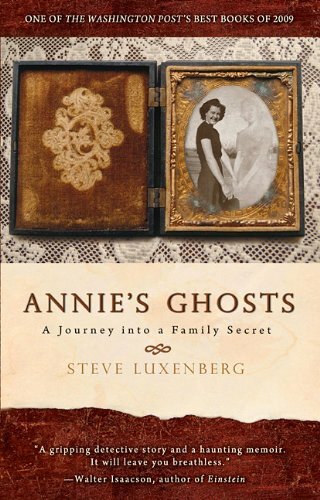 Annie’s Ghosts: A Journey into a Family Secret by Steve Luxenberg. One of Lisa’s all-time favorite interviews was with Steve about this book. Based on listener feedback, this was an audience favorite, too! “I can’t tell you how much I enjoyed reading Annie’s Ghosts,” says Lisa. 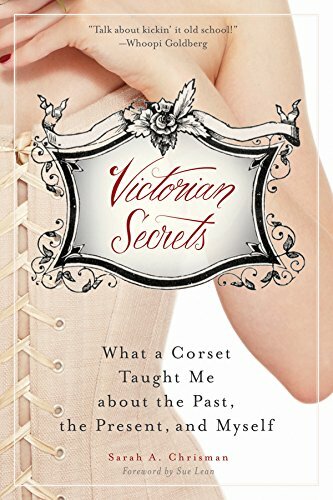 “This book inspired me, gave me concrete ideas for pursuing my own family history research, AND kept me on the edge of my chair. What could be better? Steve is such a riveting writer and speaker, and it’s fascinating to hear how someone who is not a genealogist–but rather a journalist–approached his family history search in an effort to find the answers to mysteries in his families.” Listen to the interviews in Genealogy Gems podcast episodes 120 and 121. This book and interview planted the seed for this genealogy book club! The Journey Takers by Leslie Albrecht Huber. 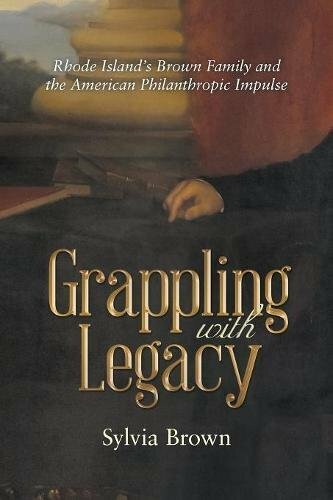 Here’s another book Lisa profiled on the podcast awhile back. Leslie is a professional genealogist who spent thousands of hours researching the stories she tells about ancestors who left homes in Germany, England and Sweden for new lives in the United States. She writes about their experiences but also her feelings about it, in a book about both a family’s history and the effect it has on the present. Check out Lisa’s interview with Leslie in Genealogy Gems Podcast episode 98. 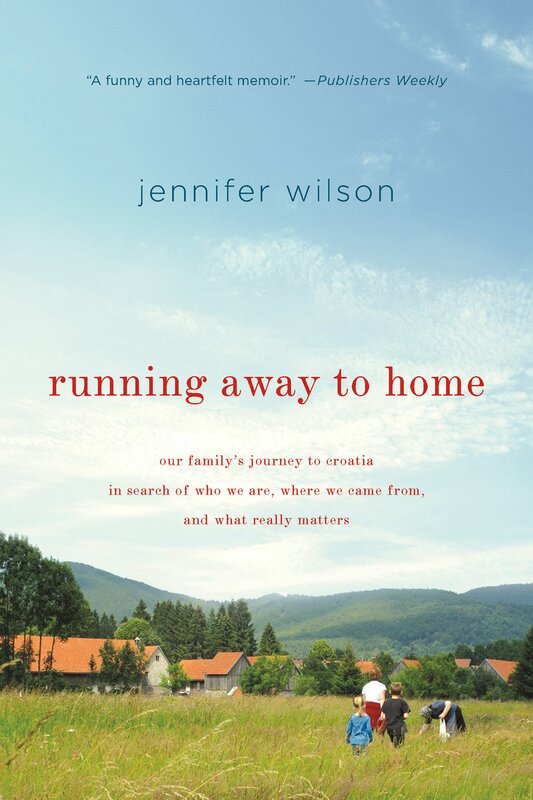 Running Away to Home: Our Family’s Journey to Croatia in Search of Who We Are, Where We Came From, and What Really Matters by Jennifer Wilson. 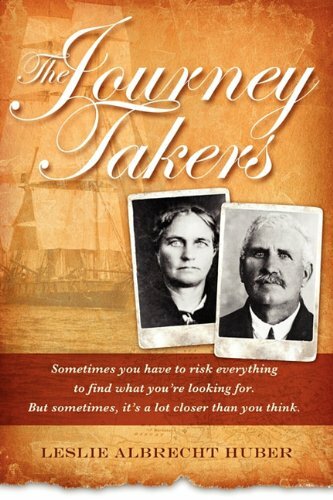 “In this book, Jennifer takes us on a once-in-a-lifetime genealogical journey,” Lisa says. “She walked in her ancestors’ shoes and lived among their descendants.” Lisa profiled this book in Episode 129 of the Genealogy Gems podcast and was so inspired by the story that she created this YouTube video on the book. The Story We Carry in Our Bones: Irish History for Americans by Julienne Osborne-McKnight. Recommended by a Gems fan. Begins in deep history with the Celts and Vikings, explains events that led up to the great potato famines and follows the Irish exodus to the U.S., where she then explores Irish-American life. Finding Samuel Lowe: China, Jamaica, Harlem, a memoir by Paula Williams Madison about the author’s journey into her family history, which resulted in a documentary by the same name. 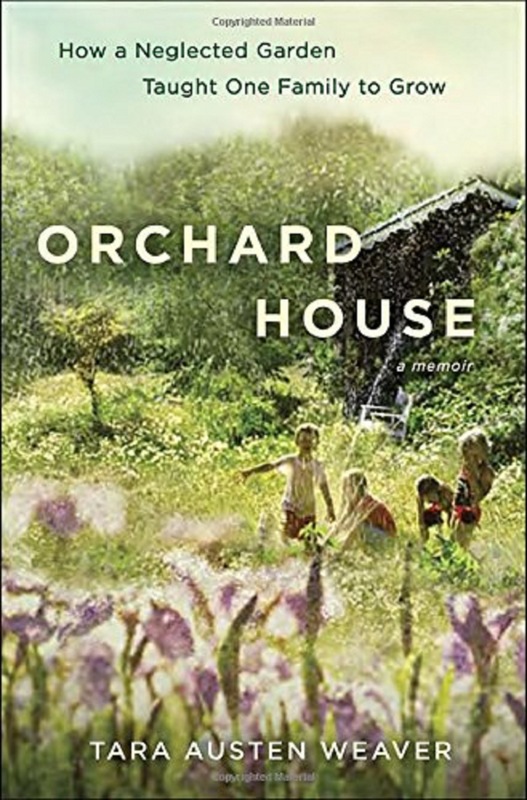 “Spanning four generations and moving between New York, Jamaica, and China, [this] is a universal story of one woman’s search for her maternal grandfather and the key to her self-identity.” Suggested by a Gems fan. The Last Midwife: A Novel by Sandra Dallas. Recommended by a Gems fan. The story of the only midwife in a small Colorado mining town on the Rocky Mountain frontier. A baby is found dead and Gracy is accused as murderer. She’s kept lots of people’s dark secrets over the years–and a few of her–and as the trial looms, she has to decide which of those secrets to give up in order to clear her name. These is my Words: The Diary of Sarah Agnes Prine , Sarah’s Quilt and The Star Garden by Nancy Turner. 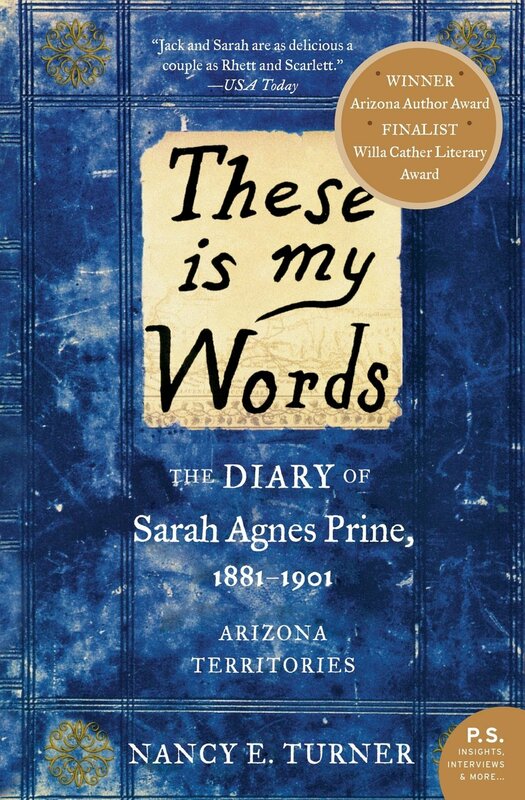 This series of novels is based on the life of Sarah Agnes Prine, a relative of the author who lived on the Arizona frontier. The frontier isn’t so violent anymore, but Sarah’s struggles with men, raising children, drought and natural disasters (the San Francisco earthquake shows up in the second book) are still relevant today. Sarah’s tough-and-tender voice is so perfect for recounting the life she lives. 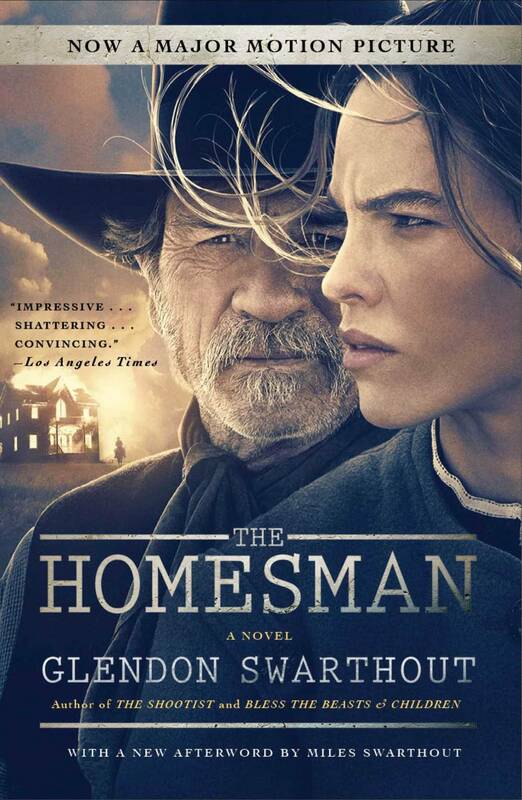 The Homesman: A Novel by Glendon Swarthout. The most startling book I’ve read in recent years. I’m not going to tell you every reason it was so startling or it will give away the plot. I will say that this is a sweaty and intense and gritty and face-paced story. You get the dark side of braving the frontier. A more mature read. 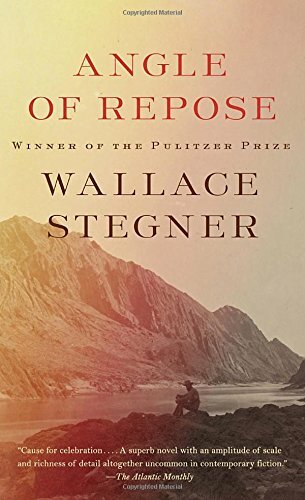 Angle of Repose by Wallace Stegner, another novel of a couple’s lives on the frontier. Because it’s such a powerful treatise on marriage, it made me wonder: when you are a couple with no modern distractions and survival depends on your cooperation, does the relationship really does become as wide and consuming as that wide horizon? The Marriage Certificate by Stephen Molyneux. This novel opens with a scenario we sympathize understand: Peter, a genealogy buff, buys a marriage certificate he sees on display at an antiques gallery. He begins researching the couple with an idea of returning the certificate to them. Eventually he uncovers several secrets, one with some money attached to it, but others are also chasing this money. Surprise twists bring the story into the present day and Peter becomes a genealogical research hero. Mordecai: An Early American Family by Emily Bingham. A beautifully-written history of several generations of a Jewish family in the United States. Draws on an astounding 10,000 original documents and letters. It’s a fascinating story on faith, religious and culture identity and assimilation, family dynamics and intergenerational identity. Also an inspiring read for anyone wishing to write a strictly factual, third-person account of their family history. My Prairie Cookbook: Memories and Frontier Food from My Little House to Yours by Melissa Gilbert. “Little House on the Prairie” is coming back to life in the form of a cookbook by the actress who played young Laura Ingalls in the NBC television series (1974-1983). Melissa dishes up prairie breakfasts, picnic lunches and treats inspired by Nellie’s restaurant (from the Little House series). The book is garnished with memories and memorabilia from the television show. Click here to read a full post about the cookbook and Lisa’s “Little House” family history tour on Google Earth. Nick Herald Genealogical Mystery series: Deadly Pedigree, Jackpot Blood and Lineage and Lies by Jimmy Fox. Recommended by a Gems fan. The hero is an American genealogist who lives and works in New Orleans, one of the most colorful and historical parts of the U.S. Give it a try and let us know what you think! Out of the Shoebox: An Autobiographical Mystery by Yaron Reshef. In this memoir, Yaron gets a phone call about property his father purchased in Israel years ago. He and his sister can inherit it, but only if they can prove that man was their father. He goes on an international paper chase into the era of World War II, the Holocaust and the making of Israel. A forgotten bank account surfaces and more surprises happen during Yaron’s two-year quest to understand the tragedies of his family’s past and recover some of its treasures. Three Slovak Women, Second Edition by Lisa Alzo. You may know Lisa as a popular speaker on Eastern European genealogy at national conferences. This is her nonfiction account of three generations of Slovak women in the steel-producing town of Duquesne, Pennsylvania, and the love and sense of family binding them together. It will inspire your own family history writing projects! Click here to hear Lisa in the free Family History Made Easy podcast talk about her reasons for researching her family history and what she’s learned along the way, including in her travels in Eastern Europe. When the Cypress Whispers: A Novel by Yvette Manessis Corporon. We haven’t read this novel by Greek-American family historian and Emmy award-winner; we just noticed it in the news. It’s based on true stories gathered from her grandmother. Read here about the true decades-old secret she uncovered and helped share with descendants of another family who survived the Holocaust on the island. document and re-imagine the life of her ancestor, Mary Pitt, a widow who migrated to New South Wales in 1801 with five children. It’s a less-formal way of writing family history that we recommended in a podcast episode talking about different styles of writing. Looking for how-to genealogy books? Check out our companion list of great titles on how to research! We’ve featured many of the authors on the podcast or in blog posts, and we include links to these.